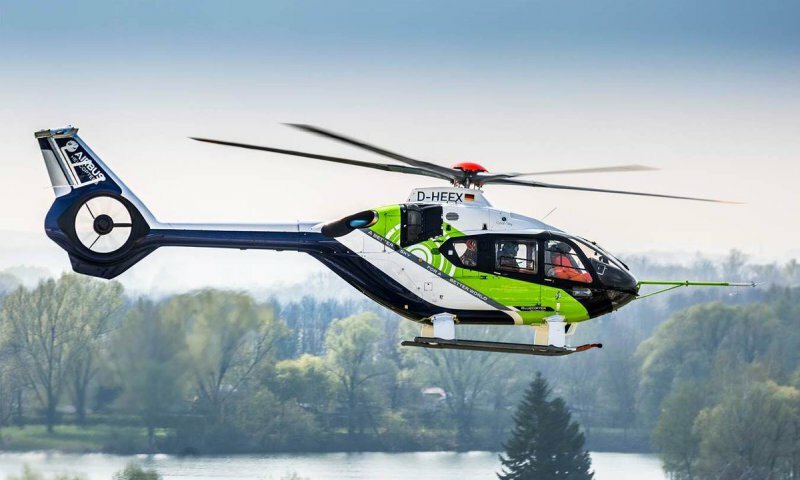 ATLANTA --- Airbus Helicopters is unveiling a new version of its best-selling H145 light twin-engine helicopter at Heli-Expo 2019 in Atlanta. Visible on the Airbus booth at the show, this latest upgrade brings a new, innovative five-bladed rotor to the multi-mission H145, increasing the useful load of the helicopter by 150 kg while delivering new levels of comfort, simplicity and connectivity. “We’re extremely happy to be able to showcase the new H145 to our customers here in Atlanta as this upgrade owes a lot to the feedback they have provided us over the years about the aircraft,” said Bruno Even, Airbus Helicopters CEO. “Our teams have worked hard to quickly bring to the market a set of innovations that we believe will contribute to the success of our customers’ operations. It is their trust in the H145 and all its predecessor variants over the last decades that have made it the fantastic helicopter it has become today, and I want to thank them for their continuous support”. The H145’s new five-bladed rotor brings a significant increase in overall performance, with a maximum take-off weight raised to 3,800 kg and a useful load now equivalent to the aircraft’s empty weight. The simplicity of the new bearingless main rotor design will also ease maintenance operations, further improving the benchmark serviceability and reliability of the H145, while improving ride comfort for both passengers and crew. The reduced rotor diameter will allow the H145 to operate in more confined areas. The new H145 introduces new levels of on-board connectivity to customers and operators through the integration of the wireless Airborne Communication System (wACS), allowing seamless and secure transmission of data generated by the helicopter in real-time, including in-flight. Powered by two Safran Arriel 2E engines, the H145 is equipped with full authority digital engine control (FADEC) and the Helionix digital avionics suite. It includes a high performance 4-axis autopilot, increasing safety and reducing pilot workload. Its particularly low acoustic footprint makes the H145 the quietest helicopter in its class.